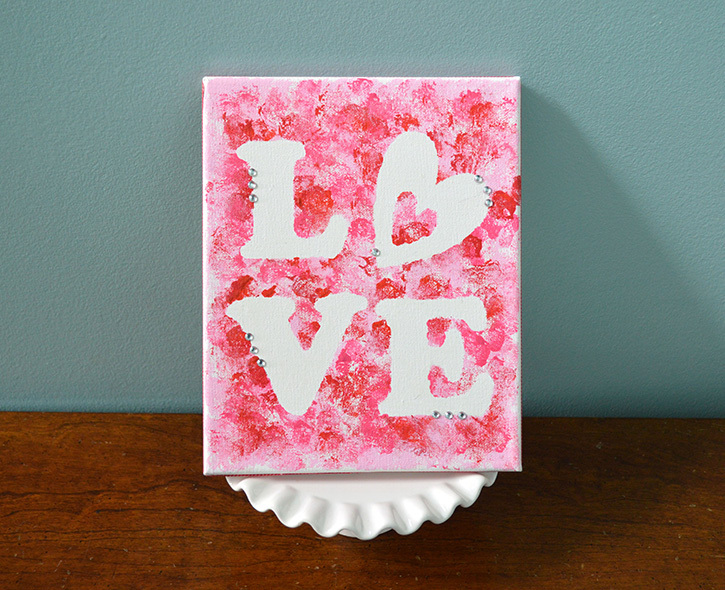 Teach your young ones the fun of reverse masking with this Valentine’s Day project that can be easily adapted for any age. Young artists will enjoy being a part of holiday decorating when they create this canvas that will be enjoyed year after year. 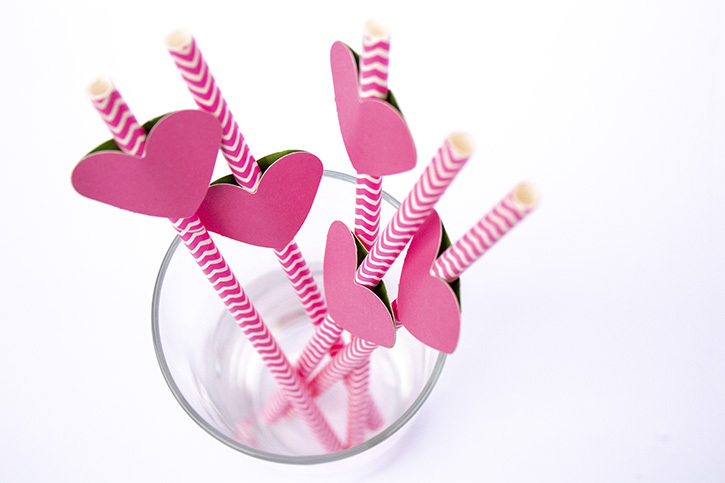 Use your electronic die cutting machine to cut out 3” masks for the letters L, V, E and a heart out of heavy card stock. 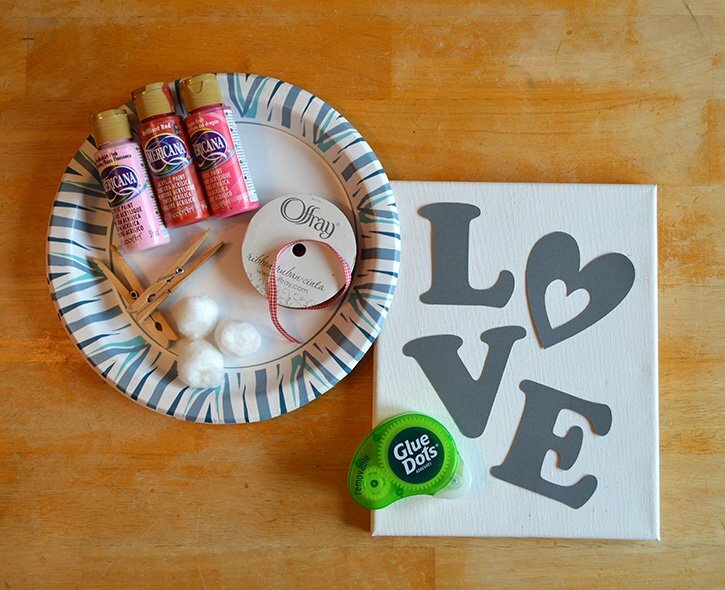 Apply Removable Dots to the back of the letter cut outs and adhere to the front of the canvas. 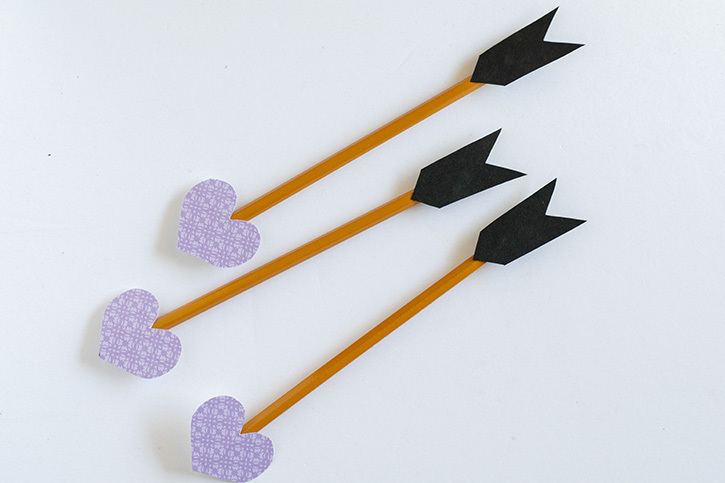 Place a cotton ball in the spring clothes pins. 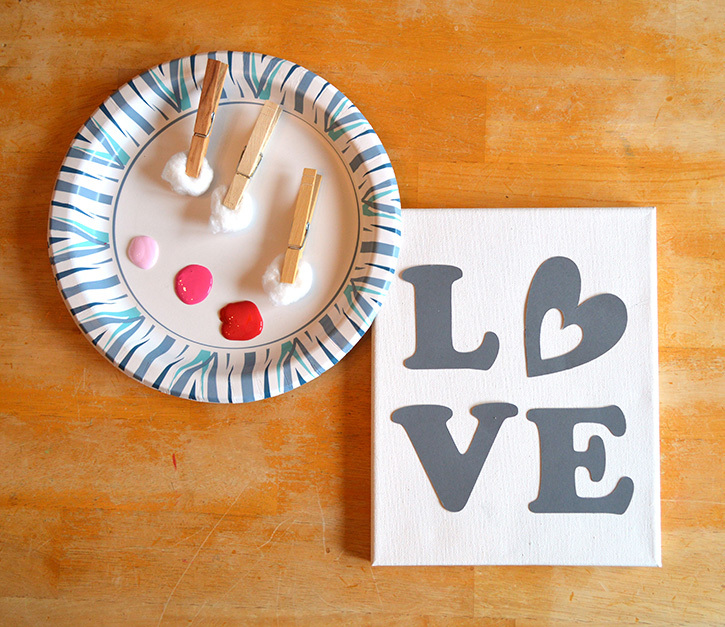 Place a small amount of acrylic paint onto the paper plate. 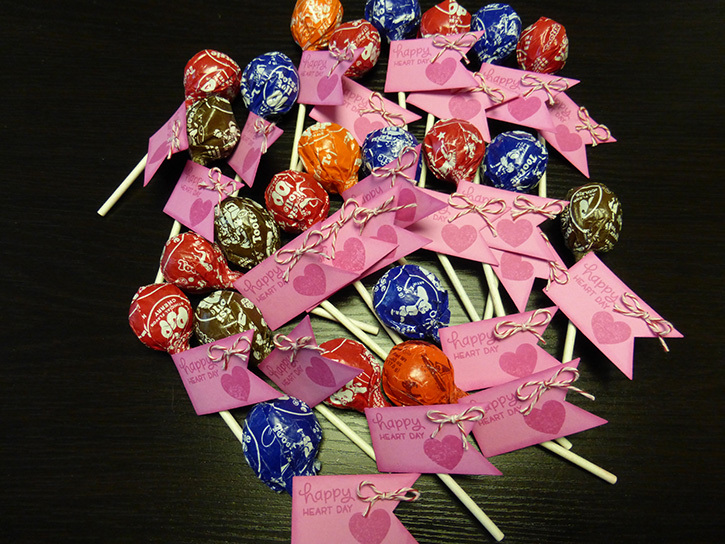 Tip: This is a great way to allow young artists to experiment….and clean up is easy. Simply throw out the cotton ball! 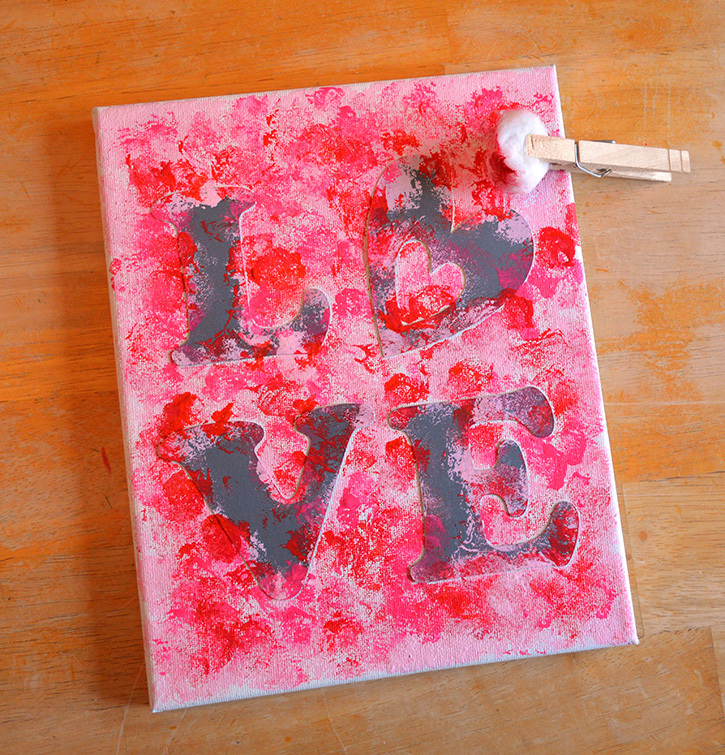 Instruct your young artist to gently tap, tap, tap the cotton ball of paint onto the canvas, in an up and down, pouncing motion. 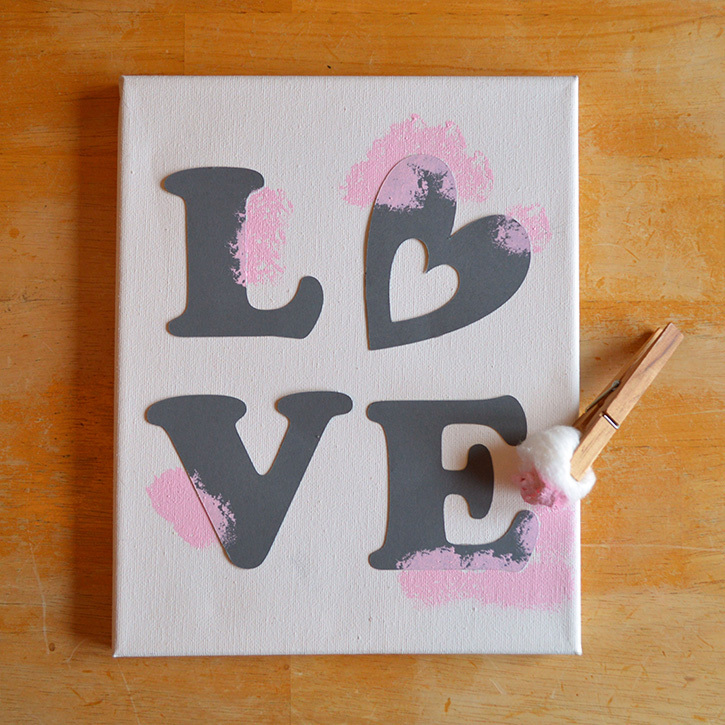 Tip: You may have to “tap off” extra paint if the cotton ball collects too much paint. Too much paint may bleed under the paper mask. 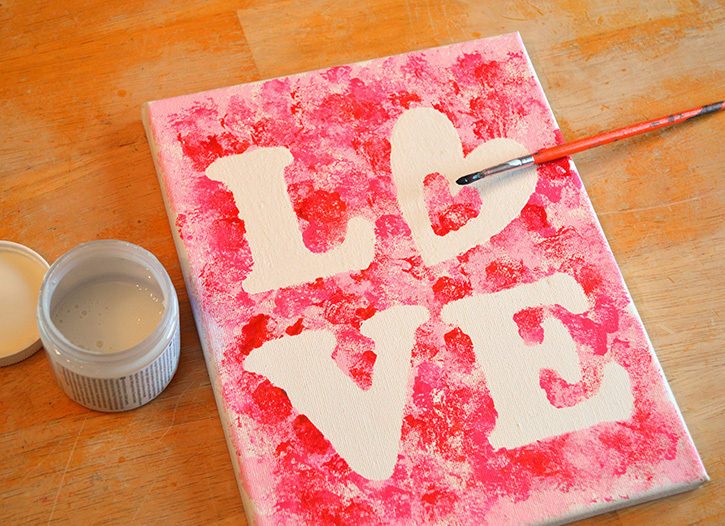 When the front of the canvas is covered, set aside and allow the paint to dry. When dry, carefully remove the cardstock masks. Tip: Save these masks for another project. They will have a cool painted look when dried. To give more definition and interest to the canvas, use a small detail paint brush to apply Americana Décor Light Satin Varnish to the white negative space left from the mask. Allow drying time. 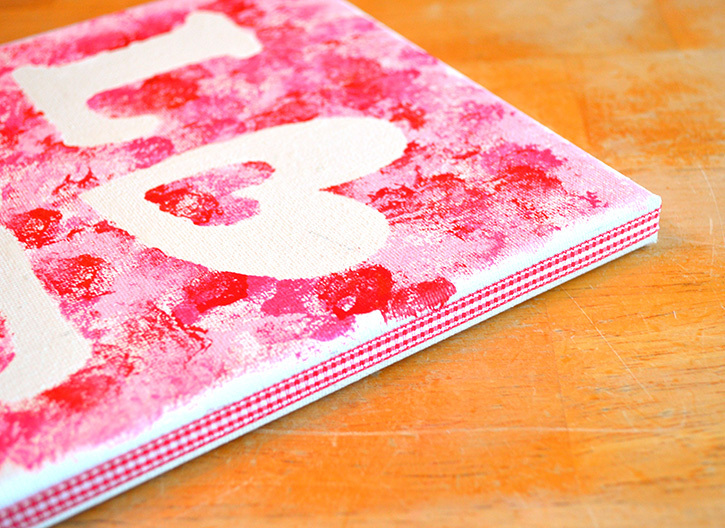 Use Glue Lines to adhere gingham ribbon around the edge of the canvas for a finished look. 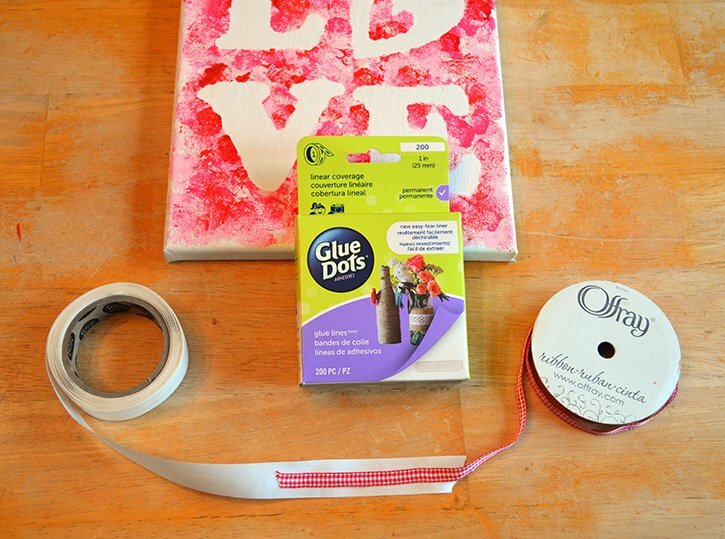 Apply the ribbon along the whole perimeter of the canvas. 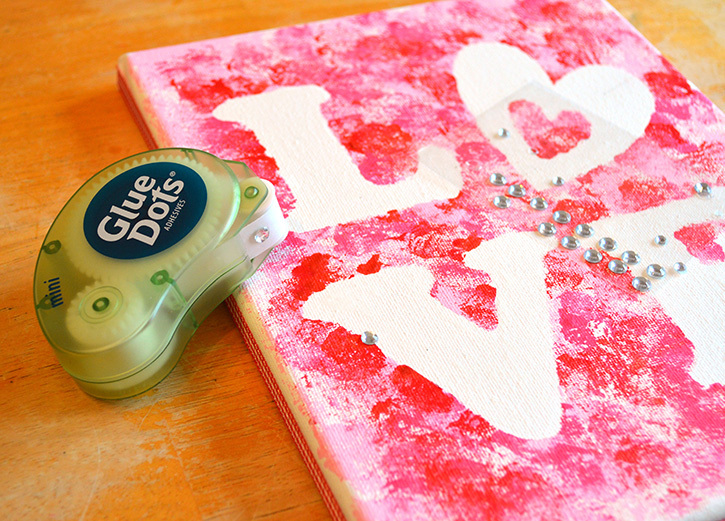 You can stop here…or add bling using Mini Dots to give a little more sparkle to your project! 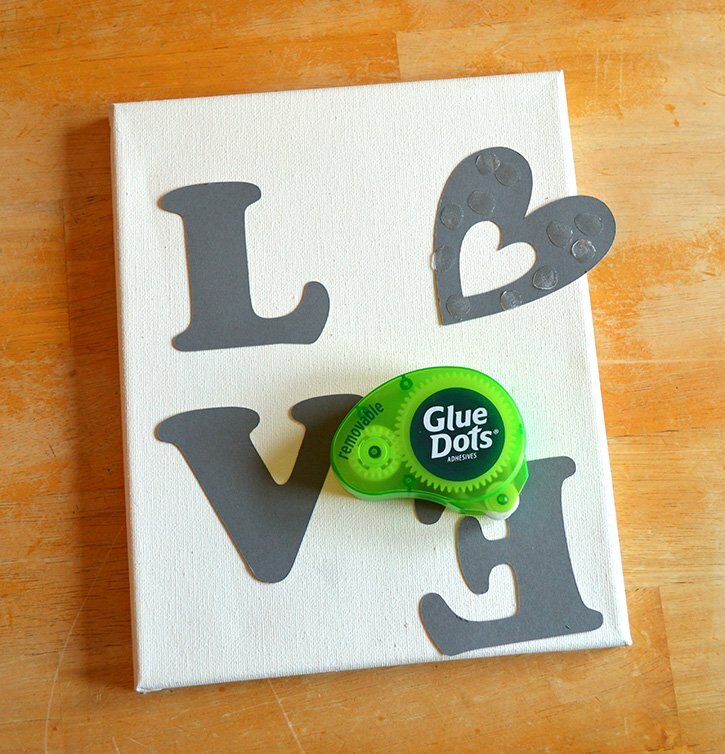 Little hands can help you create and embellish this Graphic Canvas because Glue Dots simplify the steps and can easily be handled by young artists!